Robert Kollenborn, 56, walked out of Geiger Correctional Facility on September 17, 2017, and walked straight to the Union Gospel Mission Men’s Shelter. 8.5 miles. He needed to get here because he had nowhere else to go. He had burned every bridge. Have you ever noticed how many passages there are in Scripture about paths? Robert had spent his entire adult life in addiction: Four decades. Change seemed nearly impossible. Interestingly, God appeared to be directing his steps, lighting the path. One step at a time. When asked what made him change his mind, Robert explained, “I could see evidence of me changing. You might say “impossible” – without God. 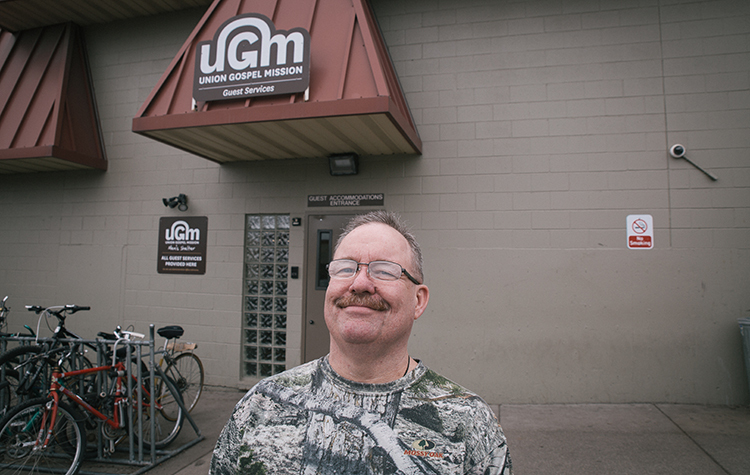 Before coming to UGM, Robert hated himself, thought God was irrelevant and thought he hated other people. Robert starts his day with a personal worship time. He reads the Bible and sings hymns, which literally amazes him. He even sings in the shower. “Amazing Grace” is a favorite. Robert is a new man. His relationship with God has changed. His view of himself has changed, and his attitude toward other people has changed. “I used to be demanding. I would bark things. I don’t do that at all. I’m very gentle because I’ve been hurt, and it’s torturous. I overlook people’s faults. I look at who they really are. I give people a chance. I don’t just look at the cover of the book. I listen. But Robert knows his path isn’t over. He hasn’t arrived. 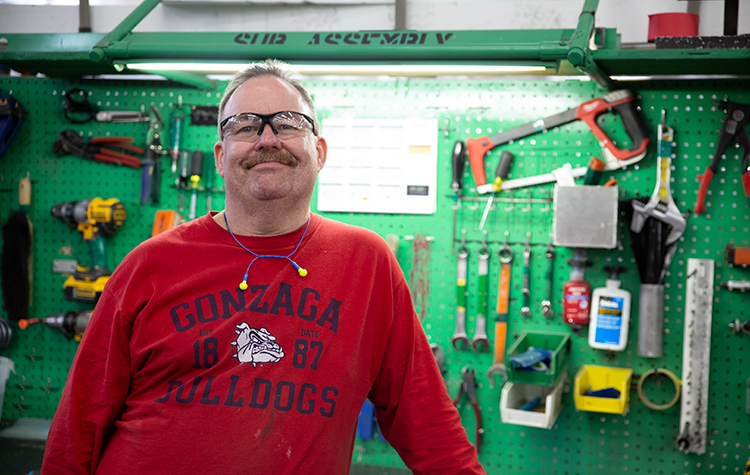 Robert has a five-year plan that includes work (he is doing his practicum at Berg Camp Solutions and hopes to continue working there after he completes the program), church, volunteering in the kitchen at UGM (he and kitchen supervisor Dale Fruin have developed a close friendship), and holding tight to accountability. Join us in praying for Robert, that God would continue to direct his steps. Robert's story is unique, like everyone else's. But there are a few common themes that have stood out during Phil's 30+-year career bringing the light of the gospel to the poor and homeless.